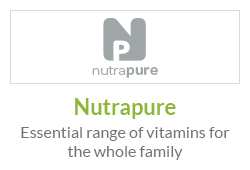 Nutrabees Propolis 750mg contains vitamins, minerals, fatty acids and amino acids. Propolis is one of nature's richest sources of bioflavonoids and is considered to be an excellent, natural antioxidant. Propolis is a sticky substance made by bees when they collect resin from tree buds, sap flows, or other botanical sources and mix it with a little honey. Bees use it to seal small cracks, gaps, holes and build panels in the hive. It is considered a complete nutritious superfood! Historically, Propolis has been used on minor wounds and abscesses in order to keep germs out so that the wound may heal. And just as bees use this substance to close gaps in the hive to keep out potentially harmful germs & intruders, so too has Propolis been used by people to help keep out dangerous germs. For bees, Propolis also acts as an antiseptic barrier protecting the hive from contamination and from external invaders. Propolis is able to protect the hive from external viruses & bacteria as a result of its antimicrobial properties, as well as preventing spread of infection within the hive. Propolis is a widely researched substance that has fascinated scientists. Studies have demonstrated the potent action Propolis possesses against numerous harmful germs and further research has recognised its healing benefits. Scientists tested Propolis against a these dangerous microbes: Staphylococcus aureus, Escherichia coli and Candida Albicans. 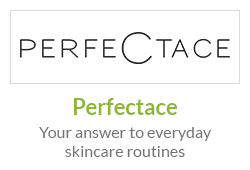 Results demonstrated Propolis acted powerfully against aggressive bacteria. The study also showed that strength varied geographically, but that its protective benefits were always present. Results may also be attributable to the wide spectrum of flavonoids Propolis contains. Its potent level of Bioflavonoids that are responsible for the protective effect on virus infection, by preventing it becoming active. The bioflavonoids found in propolis provide antioxidant effects, which may help to support a healthy immune system. Nutrabees guarantees the bioflavonoids in this propolis supplement are naturally occurring flavonoids with nothing else added. Researchers have found that Propolis possesses powerful antibiotic properties. Isolated acids (Sinapic acid, isoferulic acid and caffeic acid) from Propolis, have been shown to be effective against numerous bacteria, including Staphylococcus Aureus. This is especially important nowadays as antibiotic resistance is a growing problem. Taking antibiotics regularly can upset the balance of good and bad bacteria in the gut which can lead to digestive problems as well as affect the immune system adversely. This is why taking a probiotic is advised when taking antibiotics. Luckily, Propolis has been shown to possess antibiotic properties without the harmful side effects of antibiotics. Researchers also studied the effects of Propolis upon candida albicans (a fungus characterized by yeast overgrowth, usually affects the genital and oral areas). Results showed Propolis may inhibit Candida from growing, and it has the potential for stimulating a healthy immune response to Candida infestation. From these findings, researchers concluded Propolis may potentially be an additional natural product that can be used for a variety of therapies. 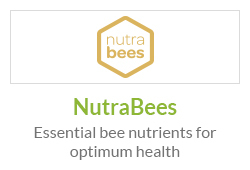 Is Nutrabees Propolis 750mg Right for Me? Propolis has been used for centuries for its soothing and healing properties. Just as its protective effects benefit the hive from infection and spread of germs within, so too does it benefit humans in the same way. Its potent level of Bioflavonoids provides it antioxidant effect that helps maintain health. With this, Propolis has been shown to help the body fight against infection from harmful germs helping support and maintain the immune system. 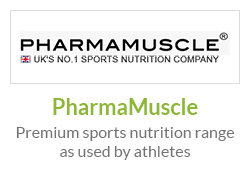 This powerful supplement is not only beneficial to celebrities, but to you too, in order to help support ‘good health’. Health Article: Daily Mail: Victoria Beckham reveals her latest superfood fad is BEE POLLEN - but what on earth does it do and why's it creating such a buzz in the beauty world? Victoria Beckham has just celebrated her landmark 40th birthday and looks better than ever. So how does one half of the world's most powerful A-list couples, mother to four young children and head of a burgeoning fashion empire stay healthy? The former Spice Girl has finally shared her secret - and it's bound to cause a buzz. A prolific tweeter, the former popstar tweeted her love of her favourite healthy food supplement: bee pollen. It is widely considered one of nature's most complete nourishing superfoods because it contains nearly all of the nutrients required to function by humans, including amino acids, B-complex, and folic acid. Bee pollen is known for its rich and varied nutritional properties, it is high in proteins, amino acids, vitamins and folic acid. It is unique in that it is high in nutrients other products of animal origin don't possess. For example, bee pollen contains more amino acids gram for gram than beef, eggs or cheese. 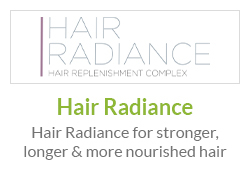 It can help increase energy due to the high B vitamin content and includes large amounts of rutin, an antioxidant that helps strengthen capillaries and blood vessels, which can support the cardiovascular system. Bee pollen contains all the nutrients we need; it is a wonderful vegetarian source of protein and contains all of the B vitamins, including vitamin B12 which can be hard to find in vegetarian sources. Bee pollen is one of nature's most completely nourishing foods, with nearly all the nutrients required by humans. It has been used for energy and endurance since ancient times, with a single pellet containing over 2 million nutrient-packed flower pollen granule. Published in International Journal of Medical Science, 2012, in a study titled ‘Synergistic effects of honey and propolis toward drug multi-resistant Staphylococcus aureus, Escherichia coli and Candida albicans isolates in single and polymicrobial cultures’, Researchers Al-Waili et al aimed to determine the antimicrobial activity of ethyl alcohol extraction of Propolis collected from Saudi Arabia (EEPS) and from Egypt (EEPE), and their synergistic effect when used with honey. They concluded that (1). Propolis prevents the growth of the microorganisms in single and mixed microbial cultures, and has synergistic effect when used with honey or ethyl alcohol, (2) the antimicrobial property of Propolis varies with geographical origin, and (3) this study will pave the way to isolate active ingredients from honey and Propolis to be further tested individually or in combination against human resistant infections. Brazilian researchers Possamai et al, 2013 concur with the above result. Their investigation showed Propolis to be effective on the activity of human phagocytes (type of white blood cell) against Candida albicans. The results showed that Propolis exerts a stimulatory effect on these cells to help combat the fungus. And once Propolis was incorporated into microspheres, these properties were significantly potentiated. What makes Nutrabees Propolis different to other Propolis Supplements? 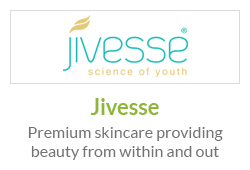 Contains Propolis Extract (5:1) which is 5x concentrate (Equivalent to 750mg of Propolis Powder). 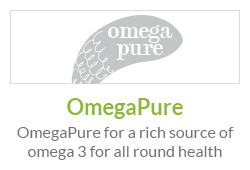 As a food supplement, take 1 to 3 capsules daily with a main meal, or as needed during hayfever season. Suitable for vegetarians. I take Propolis to help support my general health. Since taking it I have felt much more ‘better’ within myself. I like anything ‘bee’ related as it seems they make the best in viral protection and nourishing the body. Those clever little bees. 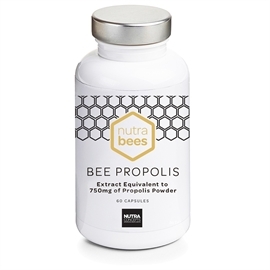 Love this Nutrabees Propolis. 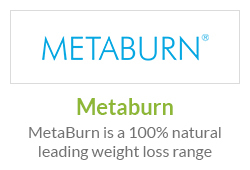 Its 100% pure and natural so I know I am getting the very best nature has to offer. Thanks to Victoria Beckham I take anything made from bees. If it’s good enough for her, its good enough for me! I have felt so good since I started taking these a couple of months back. I wasn’t sure about ‘bee products’ but now I’m sold. I feel wonderful and I can’t think of any other reason why that is as I only started to feel this way once I began taking these. Absolutely love them.